Welcome to the last Song of the Week. Yes, you're reading this right and I'm sorry if you're disappointed now. But to be honest, in the last few months it got harder and harder to keep up with the weekly format since I have a family and I'm running a business and sometimes I'd rather relax than writing a post late at night (like now) because “I have to”. It was easy to choose the last song. It had to be my all-time favorite tune “I've Found A New Baby” and I always was attracted to Ethel Water's version from 1926. The recording quality is very 1926 but the sound already was really swinging for that time. Interesting enough that it's a very minimalistic version. Ethel Waters was accompanied by Joe Smith on Cornet and Fletcher Henderson at the piano. Ethel Waters (October 31, 1896 – September 1, 1977) had a long and varied career, and was one of the first true jazz singers to record. Defying racism with her talent and bravery, Waters became a stage and movie star in the 1930s and '40s without leaving the U.S.
She grew up near Philadelphia and, unlike many of her contemporaries, developed a clear and easily understandable diction. Originally classified as a blues singer (and she could sing the blues almost on the level of a Bessie Smith), Waters' jazz-oriented recordings of 1921-1928 swung before that term was even coined. A star early on at theaters and nightclubs, Waters introduced such songs as “Dinah,” “Am I Blue” (in a 1929 movie), and “Stormy Weather.” She made a smooth transition from jazz singer of the 1920s to a pop music star of the '30s, and she was a strong influence on many vocalists including Mildred Bailey, Lee Wiley, and Connee Boswell. Waters spent the latter half of the 1930s touring with a group headed by her husband-trumpeter Eddie Mallory, and appeared on Broadway (Mamba's Daughter in 1939) and in the 1943 film Cabin in the Sky; in the latter she introduced “Taking a Chance on Love,” “Good for Nothing Joe,” and the title cut. In later years Waters was seen in nonmusical dramatic roles, and after 1960 she mostly confined her performances to religious work for the evangelist Billy Graham. 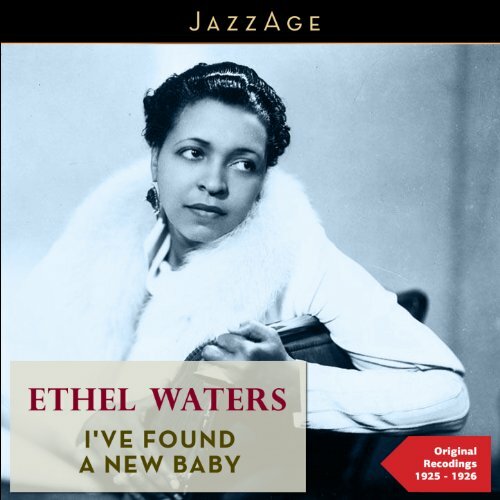 The European Classics label has reissued all of Ethel Waters' prime recordings and they still sound fresh and lively today. On Wikipedia, there is a more detailed biography available. You can find the songs of the series also on my Spotify playlist.